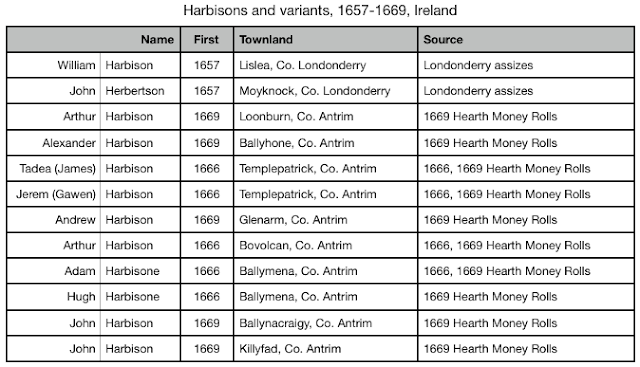 Harbisons did not seem to participate in the original Plantation of Ulster, which began in 1609. There are no records of Harbisons or any even approximately similar names in the Muster Rolls that were collected between 1618 and 1630. This was fortunate for them, given that at least 10,000 planters were killed in the 1641 rebellion. The next source we have are the Summonister Rolls for Londonderry in 1657, and the Hearth Money rolls for most of the province, 1666-1669. In the first we find a William Harbison, from Lislea, in Londonderry but on the Antrim border, who was brought up on some charge, and John Herbertson, from the next townland north (Moyknock), who was empaneled as a jury member. There are ten Harbisons, all from Antrim, listed in the Hearth Money Rolls of about 10 years later. Since these were 12 male heads of household, in total, if you include families there were likely 50 or more individuals, a considerable migration. I've mapped the two 1657 (blue) and ten 1666-1669 Harbisons (red). 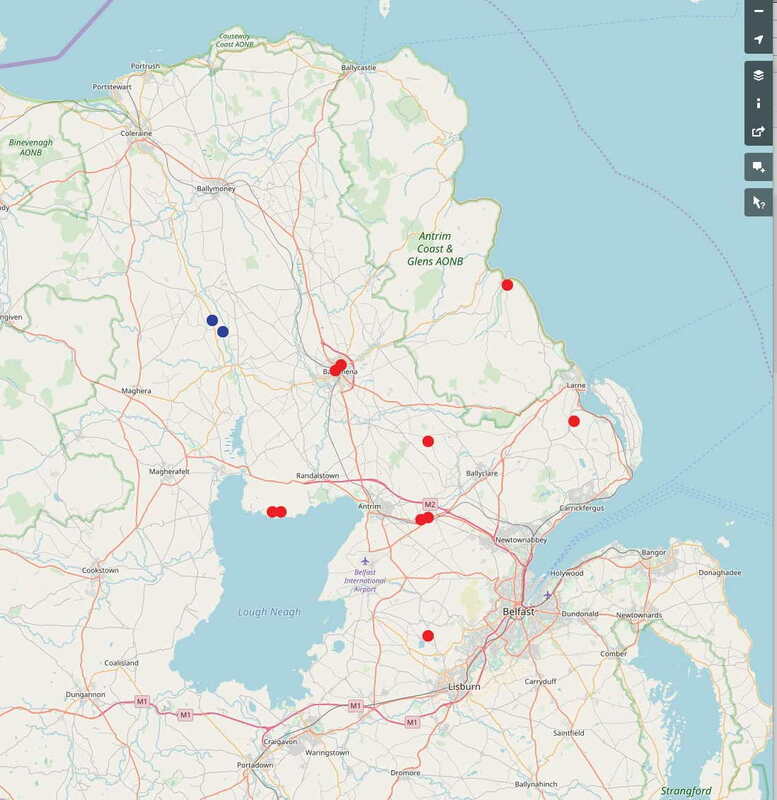 They all seem to fall in the southern two-thirds of Antrim, or just over the river Bann in Londonderry.